Seedlip alcohol-free distillates are the amazing creation of a Brit, Ben Branson. 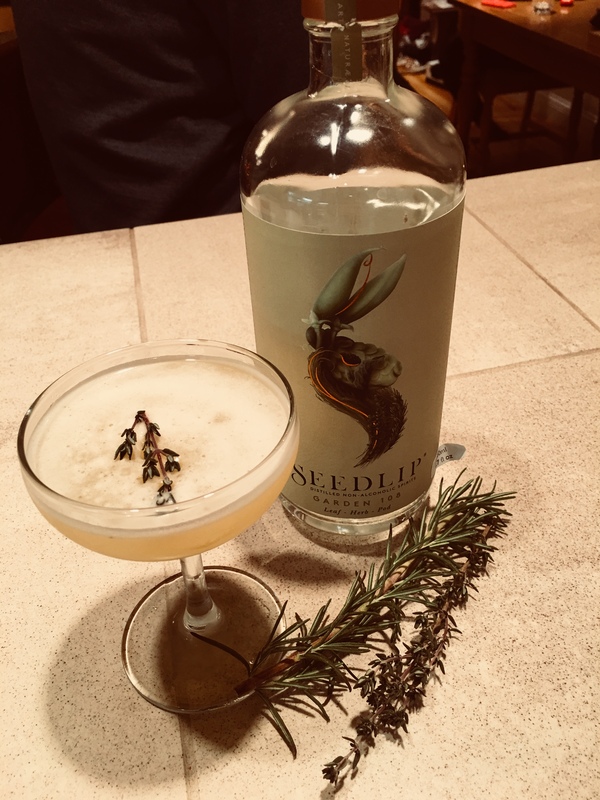 The website (www.seedlipdrinks.com) describes Seedlip Garden as “a floral blend of hand-picked Peas & homegrown Hay from Ben Branson’s Farm with traditional garden herb distillates in celebration of the English countryside”. Being alcohol free, Garden 108 is a bit light on body but when accompanied by strong ingredients, assumes a subtle, earthy structure. The result is a cocktail that seems straight from the garden. It is unquestionably the best nonalcoholic drink I’ve ever come across. Seedlip Garden and Spice are available in Canada through the website listed above. Though a bit pricey, they are really worth it. The Seedlip Garden Sour will be my go to drink for Sundays up north before I’m facing the long drive home to the city. Dry shake egg white with herb sprigs. Add other ingredients and shake again. Add ice and shake a third time. Double strain into a chilled coupe. Garnish with extra rosemary.